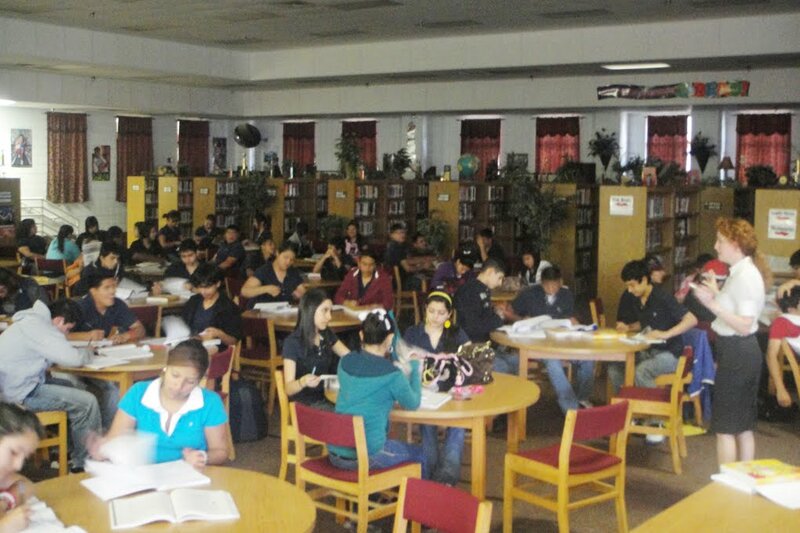 The RGCCISD Guidance Department headed by Mrs. Adelina Villarreal hosted an ACT Seminar to promote higher academic achievement and college success. The seminar was held at Rio Grande City High School Library and middle school and high school students were in attendance. Parents were also invited to attend in order to gain insight in the importance of this test and help them understand some of the prerequisites for college registration. The presentation was made by Mrs. Maureen Swade of Test Prep Seminars based out of Wisconsin . The seminar gave students a perspective on what to expect when taking the actual ACT test. ACT test scores are a tool that colleges and universities utilize in order to evaluate and accept students to enroll in their campuses. Mrs. Roxanne Garza-College and Career Advisor and the high school counseling staff continuously provide the students with pertinent information to help them make informed educational decisions and prepare them for the transition into college. For additional information on college readiness and financial aid you may contact Mrs. Roxanne Garza at (956) 488-6000. RGCCISD Photo.